Camera Canvass Tracker is a patented pending technology that is used to simplify a task done by investigators everyday, canvassing for surveillance cameras. 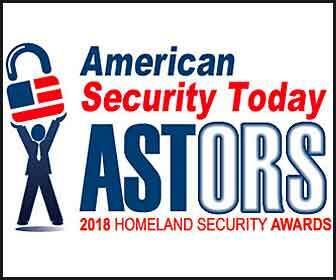 Camera Canvass Tracker, a patented pending technology that is used to simplify the task done by investigators everyday, canvassing for surveillance cameras, has been recognized as the Platinum Award Winner in the 2018 ‘ASTORS’ Homeland Security Awards Program. Are You Tired of Canvassing for Surveillance Cameras? Probable Cause Solutions, owned and operated by three partners, who have a combined 65 years experience in law enforcement, the vast majority of which were spent in an investigative capacity, has an answer for you. Camera Canvass Tracker, automatically builds a database of camera locations along with other pertinent information that allows to the investigator to calculate time differences, record the DVR/cameras, view database on a list or on a map and export the database when needed. Below you will find several issues associated with canvassing for surveillance video and how the Camera Canvass Tracker assists with these issues. Have you ever had to canvass for a video camera at night, on a dark street, with few street lights? This is very difficult and you often return back the next morning to find out that you missed a surveillance camera and lost valuable investigative time. If you used Camera Canvass Tracker, you would enter and store the camera location so the next time your investigation leads you to the same block, you already know where the cameras are! Issue 2: Locating the person who maintains control of the system, who will supply the password and grant access to view/download the video. Have you ever had difficulty locating the “super” and when you finally do, you learn that they have to call the building manager to gain access to the system? If you used Camera Canvass Tracker, you would store the contact information and other DVR details so that the next time you have to return to the same location for a new investigation you would know who to call to gain access and where to go to retrieve the video. You would even have the password to the device that worked the last time you visited the location! Issue 3: Calculating the time difference when you are standing in front of a DVR that has the incorrect time on it. Have you ever attempted to locate your incident on a video when the DVR time is off by days, hours, minutes, and sometimes even years? This is very time consuming and leaves room for human error. Did you calculate the DVR to be off by 959 days 13 hours and 4 minutes? Did you figure out that you have to turn the DVR to 9/18/13 at 1041 hours to find your incident? This took about 40 seconds with Camera Canvass Tracker and removed the risk of human error. It also left you with a permanent record of your calculations for your case folder. Issue 4: Testimony regarding the recovery of the video, the name of the location, time you recovered it, and what the time was on the DVR when you recovered it. Have you ever been cross-examined regarding the discrepancy between the time stamp of the video and the incident time of the crime you’re investigating? Have you ever heard the defense say it could not have possibly been the crime because the times do not line up? The Camera Canvass Tracker will leave you with a time stamp every time you use it and will document the calculations showing the time differences. You will also have the documentation to support that showing, the location name, address, contact person, and all of the calculations that you performed. How does CAMERA CANVASS TRACKER eliminate these issues? Enter your DVR information, including: the location, time currently on the DVR as you’re looking at it, the date and time of your occurrence, and the actual time you’re viewing the DVR. Once you click “calculate,” you will immediately be informed of the exact date and time that you need to turn the DVR to in order to find the video footage at your specific occurrence time. Enter the location of the DVRs/cameras you are viewing and CREATE a DATABASE of your DVRs. Every time you use the calculator and enter a location, you are automatically creating a database of your DVRs/cameras. Enter DVR details for future reference. DVR details include: location name, phone number, contact person’s name and phone number, make and model of DVR, length of time recorded, if there are exterior or interior cameras, and whether cameras were operable. Also, you can type in any additional notes in the notes box. Every DVR you enter is kept in a list in date order. This list can be searched using any keywords, including: date, business name, street name, etc. The list can also be sorted by distance from a location. Simply enter an address and hit sort. The list will then give you any DVR you have previously entered within 1/2 mile of that location. Every DVR you enter will be GPS plotted on a map. The map will use your current location to give you all DVRs near your location or enter an address and see all DVRs around that address. Click on any of the markings on the map to view full DVR details that you have entered. Export an excel report directly to your email account on file. The report will contain all DVR details entered as well as the calculations that you performed. How Easy Camera Canvass Tracker to Use? Create a centralized database of surveillance cameras within your jurisdiction. Search your database with our interactive geo-coded map. Store the name, address, and contact information for the custodians of the surveillance cameras. Save all DVR information for future reference. Upload camera angle screenshots for future reference. Update the DVR data and add important notes for you and the rest of your agency to benefit from the next time you need it. Calculate those difficult time calculations down to the second. Saves valuable time and reduces the risk of human error. Creates a permanent record for future reference and strengthen testimony. Incident Tracking & Custom Mapping! After creating your “Incident” and document the locations visited and create custom maps. Customize the map with a variety of pins and notes while plotting the course of travel. Strengthen your case and testimony with proper documentation. Probable Cause Solutions Group Plans! Share DVR data across your entire jurisdiction with everyone in your agency/group. Users can access the database from ANY internet capable device, including their desktop computer.